Alpina is a car manufacturer in its own right, but they're mostly known for creating higher-spec versions of existing BMW models. Their collaboration started in 1964 and has since blossomed into something truly special. They've produced numerous models for BMW, most notably the updated M3 that received praise from across the automotive world. 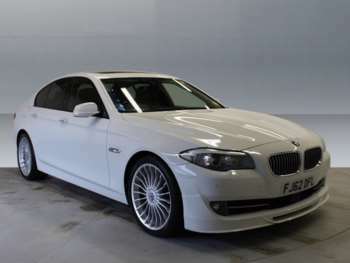 As such, you're likely to find a powerful used BMW Alpina with a mid-to-high price tag. The Alpina upgrades depend on the model that you buy. Generally speaking, you'll find a much higher torque, which usually results in more power and improved handling. The interior of each car is also updated, and you'll have unique 20-spoke alloy wheels. You may even find a model with metallic blue paint, which is exclusive to this type of car. The emphasis is usually on improved power and comfort, so the cars can be expensive to run. Expect a thrilling and responsive ride, no matter which model you go for. The handling isn't always as reliable, but you'll find that each car generally compensates for that. Technically, this isn't a specific model of vehicle, but a set of various models. In that regard, it's better to take these cars for a test drive to ensure that you're happy with the results.